Shadowing the Anthropocene: Eco-Realism for Turbulent Times. Cover. Creative Commons BY-NC-SA 4.0 International License. Ivakhiv, Adrian. 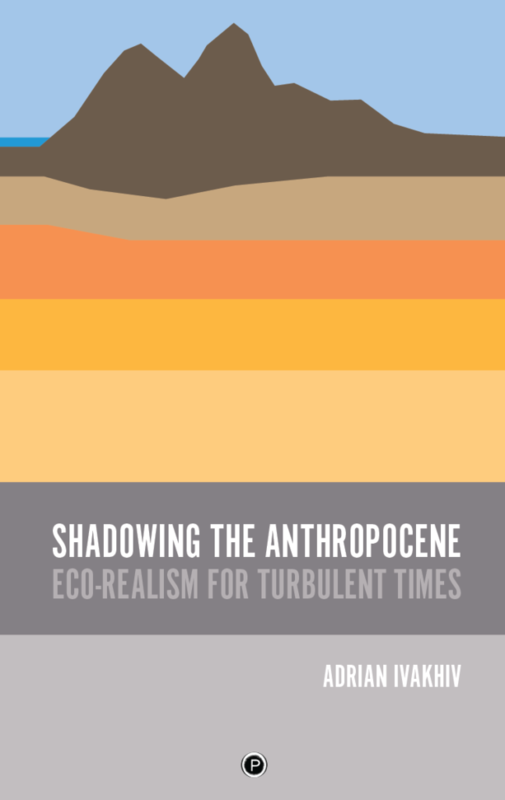 Shadowing the Anthropocene: Eco-Realism for Turbulent Times. California: punctum books, 2018. A spectre is haunting humanity: the spectre of a reality that will outwit and, in the end, bury us. “The Anthropocene,” or The Human Era, is an attempt to name our geological fate – that we will one day disappear into the layer-cake of Earth’s geology – while highlighting humanity in the starring role of today’s Earthly drama. In Shadowing the Anthropocene, Adrian Ivakhiv proposes an ecological realism that takes as its starting point humanity’s eventual demise. The only question for a realist today, he suggests, is what to do now and what quality of compost to leave behind with our burial. punctum books is an independent, not-for-profit, open-access publisher based in Santa Barbara, California. They operate a Graduated Open Access platform, whereby published books are made freely accessible six months after their release. All works published by punctum books are licensed under a Creative Commons BY-NC-SA 4.0 International License. Access this book here.